H1N1 update: Cats, vaccine, peak? 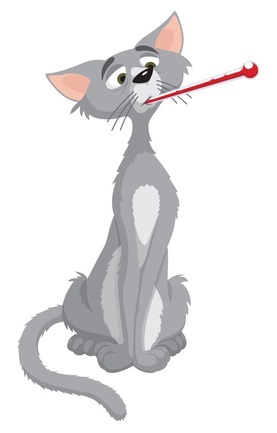 “Viruses are not transmitted between species,” was the common vet school and medical school wisdom not too long ago, according to our veterinarian, but common wisdom cracked again this week with a Washington Post report that a cat now has been diagnosed with H1N1. The 13-year-old kitty caught H1N1 from her human family, and humans and feline all have recovered. The Post notes that the virus has also been found in birds and ferrets, as well as humans and pigs. Meanwhile, on the vaccine front, MPR reports that a large shipment of vaccine is expected in the state around November 16, which will mean opening up vaccination to children between 6 months and 9 years of age, though there probably will not yet be enough vaccine to cover all of those in this age group. Some counties will set up public immunization clinics, but all are encouraging parents to first check with their primary health care providers to see whether they have vaccine available. Children in this age group will need a second vaccination one month after the first. In the past, flu pandemics have typically hit in waves that last several months, disappear and return for a second or third round. So even if the flu is abating now, it could come back again, Lynfield warned. That’s one reason that officials are pushing ahead with plans to vaccinate as many Minnesotans as possible. Laptop pilots want to fly again The FAA yanked the licenses of two NWA/Delta pilots who lost track of time and place and radio communications while using their laptops on NWA flight 188 to Minneapolis/St. Paul last month. Now, reports AP, the two have appealed, saying they want their pilots’ license back. Yeah, and I want world peace tomorrow and a pony for Christmas. Extending unemployment comp Both the Senate and the House have now passed bills extending unemployment compensation benefits As the New York Times points out, a lot of people see their action as too little and too late, since 600,000+ workers had run out of benefits at the end of October. Why did it take so long to pass a bill that ultimately had 98-0 support in the Senate? The Senate’s 98-to-0 vote disguised the partisan divisiveness of past weeks. After Democrats settled their internal differences a month ago, Republicans objected to acting until Democrats allowed votes on amendments opposing illegal immigration, the liberal organization Acorn and the financial rescue program. The Department of Labor statistics released today show initial claims down to 512,000 last week. Tomorrow the DOL will release unemployment stats for October, which are expected to show an increase overall. And some in the crowds picked up on the ongoing tension over Iran’s nuclear activities by chanting: “A green and blooming Iran does not need an atom bomb.” Green is the symbolic color of the opposition movement. Still, it seems that even some of the hostage takers of 1979 are now against the government. Mansour Farhang, who was a diplomat and initially a supporter of the Islamic Revolution, said many of the hostage takers now count themselves among the political opposition in Iran. The U.S. government is refusing to cooperate with this trial. In fact, today, American officials expressed disappointment with the verdict, and we should explain the Americans were not in court and it sounds like it’s unlikely that they’ll fulfill their prison sentences.